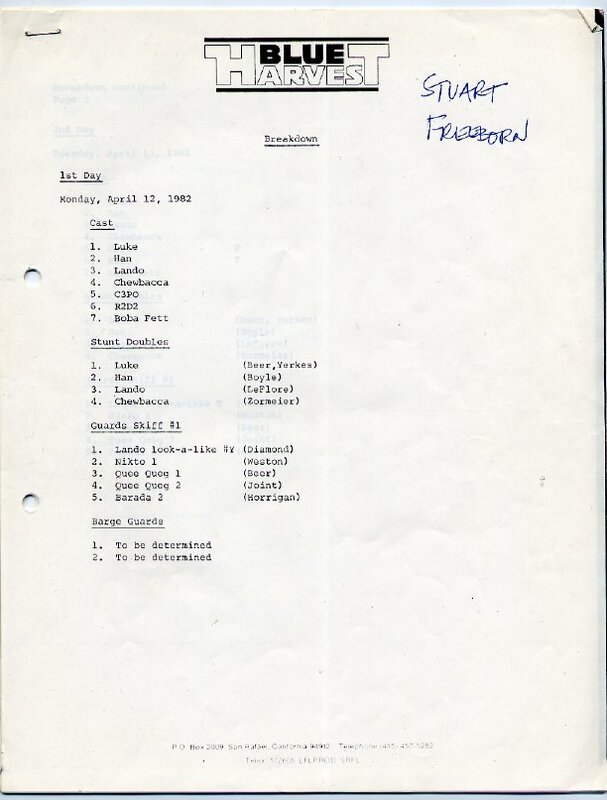 This list shows the daily breakdown of the shooting for Return of the Jedi on location in Arizona under the false name fronted for the film, Blue Harvest. For each day, it lists the characters/actors involved, including stunt people used for the elaborate stunts in the film. This list came originally from Stuart Freeborn, the world-renowned makeup and mask artist who created the creatures for the first three Star Wars films.